The Clubhouse is the focal point of many of the social activities. It is equipped with an air conditioned lounge featuring a fully equipped bar, dance floor, sound and video system, wrap-around deck with retractable awning, and games room complete with a full size pool table, foosball game and table tennis. Outdoors there is a horseshoe pit, picnic lawn, waterside deck and barbeque area. New Year’s Eve Party – A night to dress up and dance in the New Year with all your friends from the club. This is one of the most popular events and tickets sell out a month in advance. We recommend Semi-formal Evening Attire built for dancing the night away. Valentine’s Dinner – A Special Evening to bring your partner for a Romantic Dinner and Dance, The Club is beautifully decorated in preparation for this evening. Check the Events Calendar for this year’s date. Commodore’s Ball and Sailpast – Members dress formally to enjoy fine dining and dancing. Guests include fellow Yacht Club Commodores and local dignitaries. The following day VYC Members sail past Commodore in line of precedence. Many of the boats carry on to Ellison Park and raft up to celebrate the event. 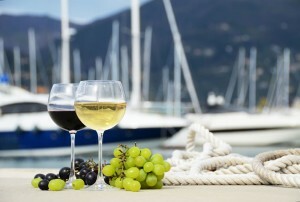 Annual Boat Show – Boat Show Page> Every Year in May, the Vernon Yacht Club hosts a hugely popular Boat and Leisure Show. Quality Marine Sports and Leisure Vendors in addition to themed activities and fun are a few of the highlights at this event. The Boat Show is a great time to bring friends and family and invite anyone, members or not, to visit our club. Mother’s Day Brunch – A happening and very popular Family Event that sells out weeks in advance. One of VYC largest events was a Mother’s Day Brunch. Make sure you book ahead for a spot! Monthly Ladies Night – A packed event organized by Debbra Butler and held every month (except July, August, December & January) featuring a great selection of quality local businesses, dinner music, appies and amazing women! VYC Okanagan Sailing Regatta – Regatta Event Page> The Okanagan Sailing Regatta is held annually in May of every year with boats coming and crew attending from all other Okanagan Yacht Clubs and with the occasional boat attending from other areas of BC. This regatta was held as a Charity Regatta until 2012 with all proceeds going to the United Way. This VYC Regatta was the United Way’s largest annual fundraiser for many years raising over $300,000! 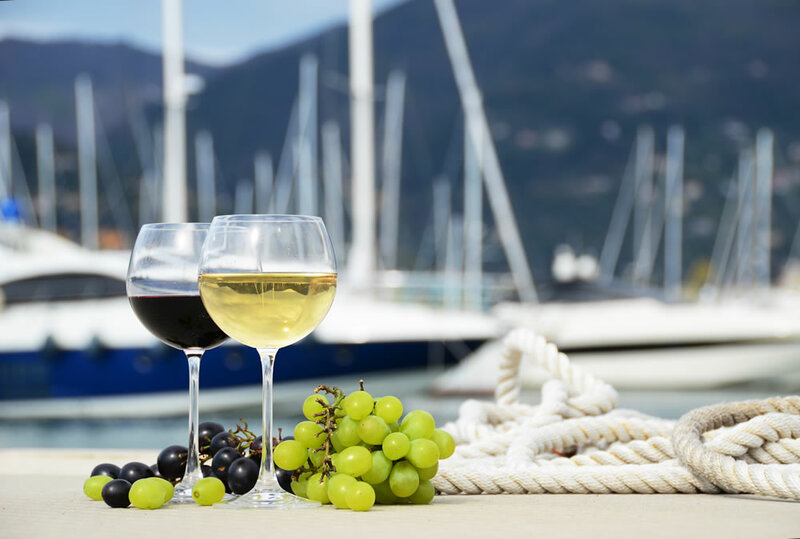 Club Invasions – Okanagan Yacht Clubs plan an annual schedule of “invasions” whereby boats invade a fellow Yacht Club for inter club merriment and sharing of Okanagan boating comradeship. Many longlasting friendships are born from these invasions with members always looking forward to the next invasion. Pig Roast – Held Annually in September, the VYC Pig Roast is always sold out early. Chefs roast a pig on a spit all day to delectable perfection. Members and guests enjoy casual dining and dancing throughout the evening. Rib Off – Barbeque’d Ribs Cookoff! A fun VYC Fall Event that involves both genders battling it out over spices and secret recipes to come up with the tastiest Ribs Ever! Packet event not to be missed! End-To-End Sailing Race – This race is for die-hard racers prepared for long legs on the water. The race is in Two Parts and each is calculated separately. The First is from Summerland to Kelowna on Day 1 the Second from Kelowna to Vernon on Day 2. The Final meal, trophies and celebration ends in Vernon after racers arrive. Small Business Christmas Party – 2013 was the first Year the Vernon Yacht Club held a Small Business Christmas Party. Our venue is a magical winter scene in December for small businesses to gather together and celebrate the Holiday Season!.